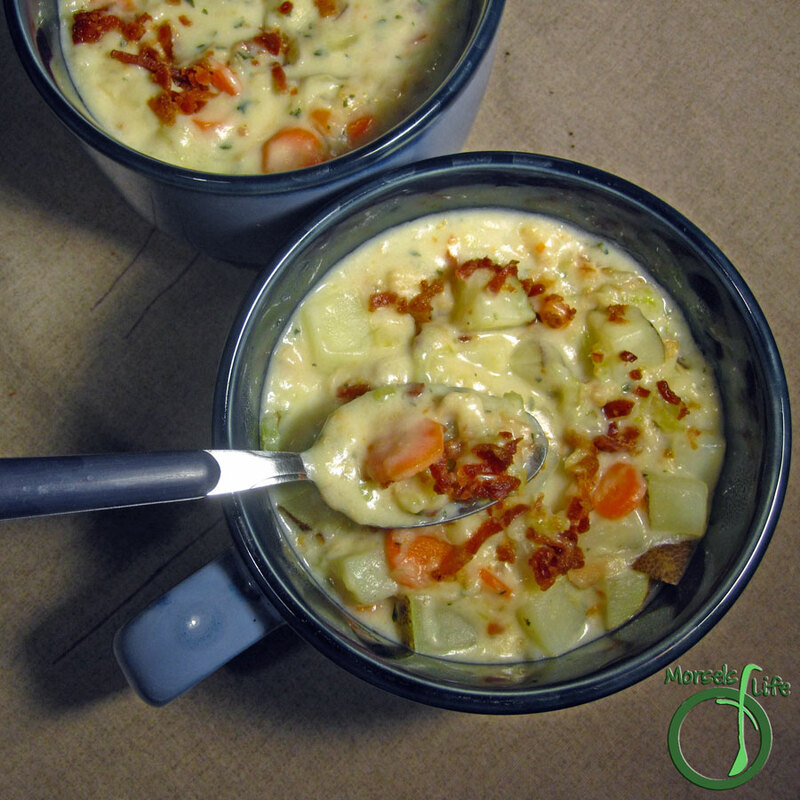 Try this chunky, creamy New England clam chowder featuring bacon, milk, and of course, clams. This chunky chowder actually finds its origins in Europe. In fact, chowder derives from the French word for cauldron. From there, clam chowder made its way across the Atlantic to Nova Scotia, and from there, to New England. And now you know the story of New England Clam Chowder. Manhattan Clam Chowder, on the other hand, replaces the milk with tomatoes. Despite the name, this change likely came from the Portuguese in Rhode Island since tomatoes and seafood is a common combo. But, don't confuse the two, especially not in Maine. Not only do they shun tomatoes in clam chowder, in 1939, they declared tomatoes in clam chowder illegal! New England clam chowder - it's one of our favorites, and I'd always just assumed it too complicated for making at home. I'm not sure why, especially since I'd made Salmon Chowder before. Either way, I'm happy to report - you most certainly CAN make some tasty New England Clam Chowder at home. In fact, you can do it in 30 minutes and have a better tasting chowder than store bought! What's your favorite version of Clam Chowder? 2 cups milk I used whole. Melt butter and add celery, carrots, and onions, cooking until onions translucent and fragrant. Whisk in flour, cooking until golden. Stir in milk and juices from clams until smooth. Add in clams and bacon. Chowder is ready when clams are done. I have to say, Clam Chowder is something I've never had, but people seem to love it. Yours looks great. Thanks for sharing at Must Try Monday! I'm always looking for a great clam chowder recipe. There is a place we go to here in California called SPLASH that has award winning chowder. We are always trying to find a recipe to be our homemade version of it! I'll have to try this out! Thanks for posting on the Wonderful Wednesday Link Party/Blog Hop! You know me - I'm always a fan of easy recipes. :) Hope this can help you fill the gap in the UK! This is my most favorite soup! Thank you for posting it. Thank you for sharing at #WonderfulWednesday! Make sure to do something nice for yourself this week! It's one of my favorites too. Hope you enjoy this version!